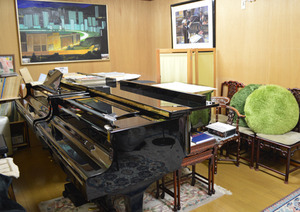 I want to help you your "rental music studio"
Piano classroom of '50 has been renewed in the rental music studio in Ichikawa City, Chiba Prefecture. The instrument practice and small concert rehearsal at the private space of capacity 5 people, please use it by all means. Please use your freedom to practice such as a piano, chorus practice. Underground soundproof studio grand piano two rooms! ※Double bass, wind instruments, percussion, etc., is okay with a large musical instrument, big sound. © 2019 長尾音楽スタジオ All Rights Reserved.